Sunday, March 26th is your opportunity to meet one or possibly more of the historic 3 sisters homes in Shipoke. The Three Sisters: The three mansard-roofed houses at 571, 573 and 575 South Front Street were built circa 1890 in the Second Empire Victorian style. They were built by Constantine Miller, supposedly for his three daughters. The leaded glass transom, a harp and a lyre, over the door of 573 came from the old J. H. Troup Music House on Market Square. The homes all have simple incised pediments over the front windows, with identical cornices supported by carved and pierced brackets over the doors. A wood frieze with pierced stylized clover design runs the length of the houses under the roof cornice. Notice the identical iron grills bearing the head of a woman on all three basement windows. Foundations were constructed during the Great Flood of 1889. A portion of a log, which was floating downstream and became jammed into part of the foundation, remains as evidence of the historic flood. Construction drawings and specifications for mixing cattle hair plaster were found in the attic of one of the homes. The view along the river from this home is spectacular! 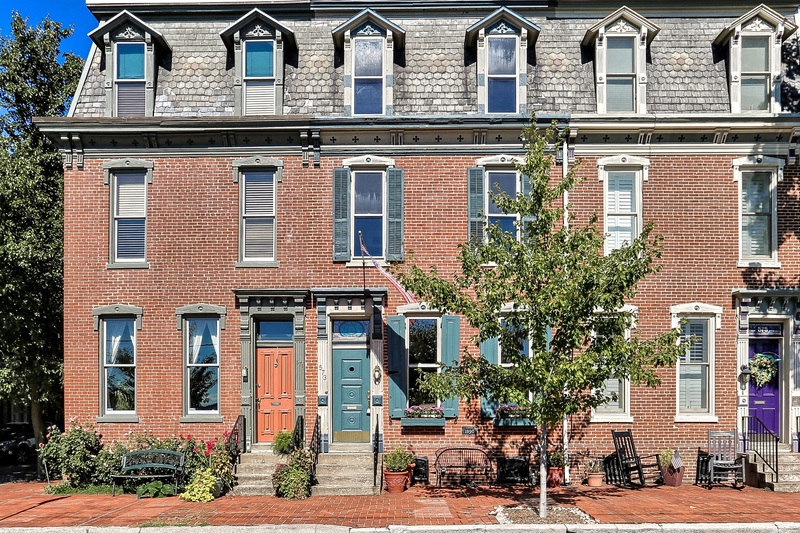 Enjoy a stroll in a beautiful historic neighborhood and fall in love with 573 S. Front Street.